Multiple Offers: Come see this contemporary BEAUTIFULLY UPDATED home today! Entering into the foyer, you will see two bedrooms and a FULL GUEST BATHROOM situated between the two. Open and spacious, this home contains WATERPROOF VINYL PLANK FLOORING throughout the living and dining spaces. Wet areas contain PORCELAIN TILE. The kitchen has a LARGE PANTRY, SELF-CLEANING RANGE and hood, sparkling QUARTZ COUNTER TOPS, RECESSED LIGHTING, and beautiful GREY MODERN CABINETRY. The living room is open with plenty of space and is adjacent to the dining room, which is divided by an arched wall, giving a touch of elegance in the home. Just off the kitchen is a FLEX ROOM, which can be utilized as an office, man cave, or an EXTRA BEDROOM! The Master bathroom is spacious and features sparkling quartz counter tops and a nicely sized GARDEN TUB. This home qualifies for ZERO DOWN PAYMENT thorough the USDA loan program so be sure and ask your lender if you could be eligible! 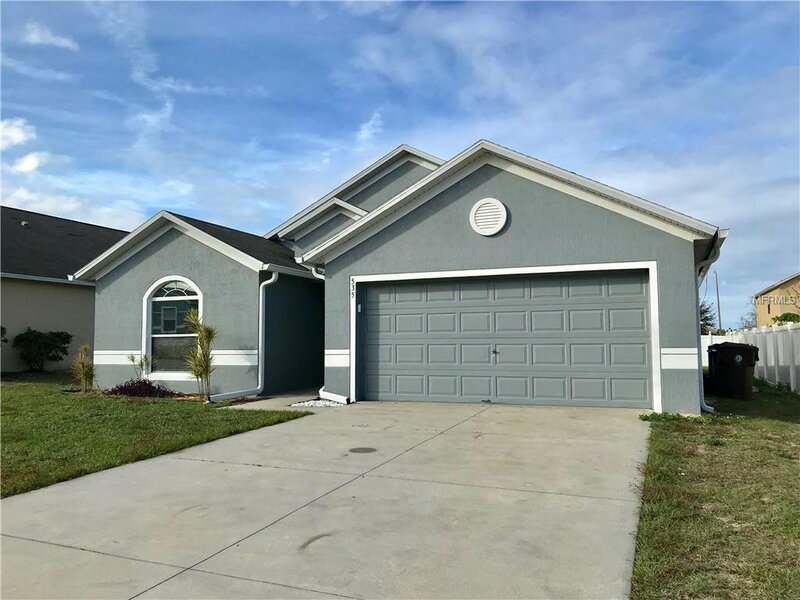 Just minutes to popular area attractions, Orlando International Airport, and beautiful Medical City. Go and show! Listing courtesy of DREAM TEAM REAL ESTATE PROFESSIONALS. Selling Office: LISTED.COM INC.